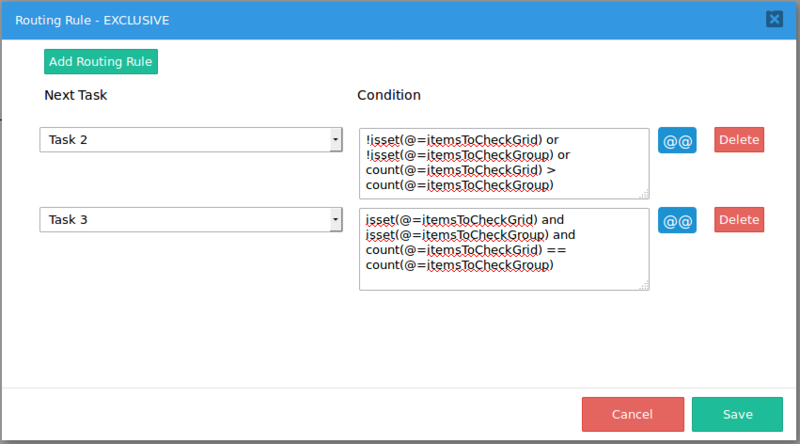 This example shows how to create a variable list of check items, which can change with each case and check whether each of these items has been marked as completed. 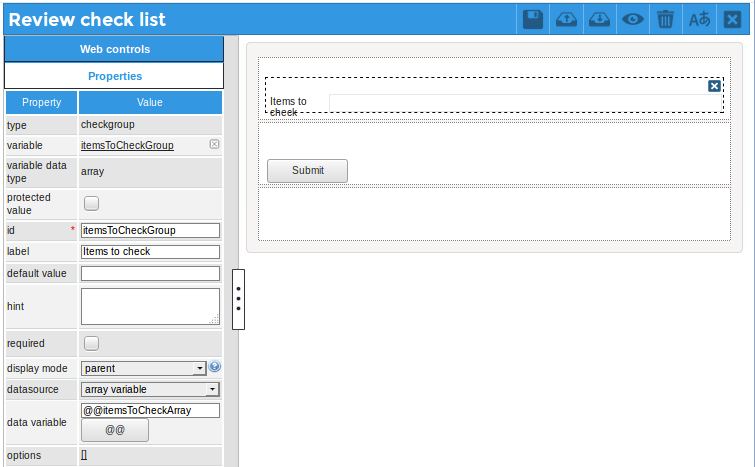 Then, create a Dynaform with a grid associated with a variable named "itemsToCheckGrid". 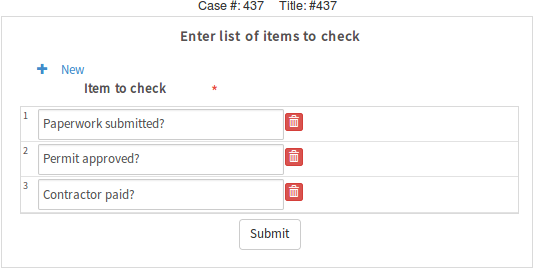 This grid has a text box with the ID "item" where the user will enter an item to be checked. The user can enter a variable number of items. 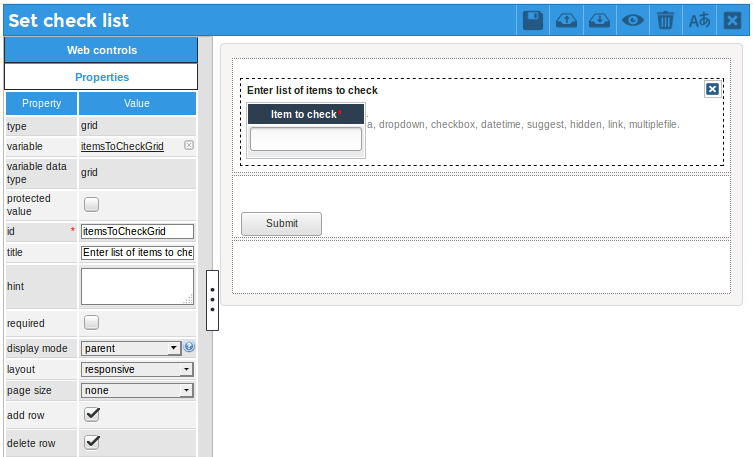 Set this trigger to fire before the above DynaForm with the checkgroup. Finally, right click on the exclusive gateway and set the conditions to either continue onto Task 3 if all the items are check list are completed or loop back to Task 2, if some of the items are not marked as completed. Note: The isset() function is used to ensure that both the grid and checkgroup variables were defined. If the user accessed the Steps menu to skip the two Dynaforms containing the grid and checkgroup or did not submit these two Dynaforms, then these variables might not have been defined. In this example, the subsequent gateway will route the case back to Task 2, because the user hasn't marked all the items in the checklist. This page was last edited on 12 September 2018, at 05:24.